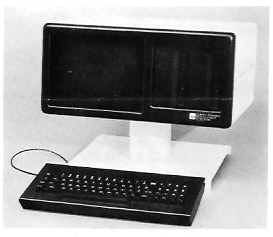 Applied Technology Ventures, Inc., "ATV", was incorporated in 1980 to develop "shrink-wrapped" application software for UNIXÃƒâ€šÃ‚Â® systems and provided contract programming services. In 1983, ATV added systems design and integration to its custom software development service to create application systems tailored to the needs of end user clients, primarily in retail, hospitality and healthcare. To provide complete solutions to its clients, ATV established reseller relationships with various hardware manufacturers and performed field installations. In 1985, ATV began to distribute hardware to the reseller channel. Eventually distribution of NCR products throughout the U.S. and Canada became ATV's primary business. In 1991, when AT&T acquired NCR, ATV was the largest distributor worldwide of NCR PCs, UNlX-based servers and retail/financial specialty hardware. ATV was included in the INC. 500 list of fastest growing privately-held companies in America three consecutive years, 1990-92. By 1995, distribution sales were almost $100 million and expanded to include the IBM, Compaq, HP, Digital Equipment and the Intel product lines. Today, ATV is The Systems ImplementorÃƒâ€šÃ‚Â®. Working with the best application software providers in each of its target markets, and leading industry hardware manufacturers such as the IBM Retail Store Systems group. ATV focuses on the design, implementation and support of application systems, and provides professional services to support the network environment in which these systems exist. ATV is steadily adding to its knowledge of the science of successful system implementation, constantly enhancing the required skills in computer/network technology, project management, system integration, logistics, field hardware installation, user training and post installation support.